Learn more about the latest styles and trends in home remodeling and get ideas for your upcoming renovation. Click here to schedule your initial design consultation and get started on the road to a more beautiful home. AlliKristé offers superior kitchen remodel services from a team of talented designers, builders, and craftsmen. We’ve earned a reputation for creating incredible kitchens that combine stunning aesthetics with innovative functional elements. Homeowners in Tampa Bay, southwest Florida, and elsewhere across the state have depended on our kitchen remodelers for expert kitchen design and remodeling services since 1996. When you partner with us for your kitchen remodel, you’ll work one-on-one with an experienced kitchen design consultant, who will meet with you in your home to discuss what you do not like about your current kitchen, and ideas you may have for your new kitchen. 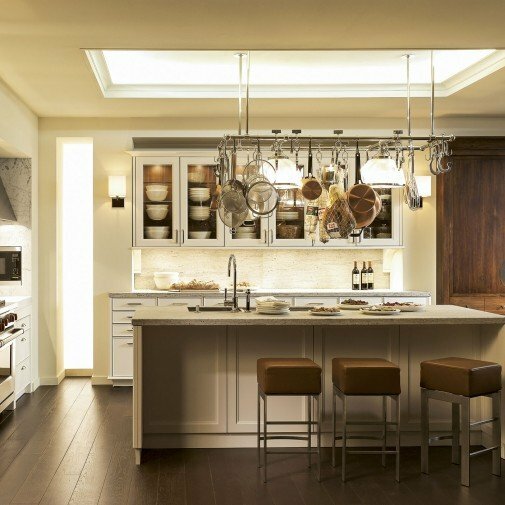 Whether you envision a contemporary space with sleek lines and stainless steel appliances, or you prefer a luxurious kitchen with rich, intricate details, your AlliKristé kitchen designer will create a kitchen remodel plan that will make your dream kitchen a reality. Homeowners interested in our kitchen remodel services can visit our showrooms in St Petersburg, Sarasota, Naples, Jacksonville, and Ponte Vedra to see examples of our work and gather inspiration for their own kitchen remodeling projects. 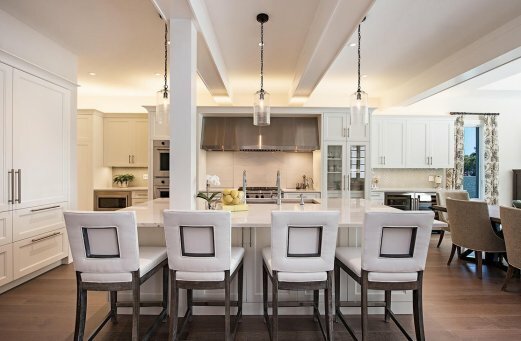 The kitchen remodel experts at AlliKristé understand how important kitchen cabinets are to the overall look and feel of the room, and we’re proud to offer some of the finest cabinetry lines in the industry. Homeowners can choose from a selection of gorgeous kitchen cabinets in an array of styles, including coastal, traditional, contemporary, and transitional. We also offer custom cabinetry built by artisan craftsmen in our own cabinet shop. And, while AlliKristé is most well known for our work as kitchen remodelers, we also offer superior bathroom remodeling services, with an array of bathroom vanity and cabinetry options, plus custom closets. AlliKristé is properly certified, licensed, and insured through the state of Florida, and our staff includes NKBA certified kitchen and bath designers. Our professional management team oversees all work to ensure that projects are completed in the most efficient manner, and we always maintain open communication with our customers throughout the remodeling process. For more information about our kitchen and bath remodel services, or our exquisite lines of cabinetry, contact AlliKristé today. We’ll be happy to schedule a consultation at your home in Tampa, St Augustine, Ponte Vedra, or any other nearby community. Stunning kitchens designed by AlliKristé professionals. 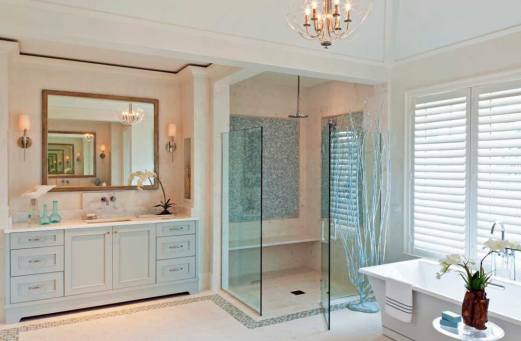 Luxurious bathrooms created by AlliKristé. Home bars, sitting rooms, libraries, and other custom-crafted spaces. AlliKristé home offices and built-in rooms and additions. Images of AllKristé craftsmen hard at work creating beautiful custom cabinetry. Elegant walk in closets designed by AlliKristé professionals.